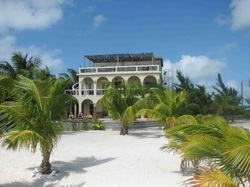 Villa Incommunicado "Our Belize Vacation" - "Our Belize Vacation"
Villa “Incommunicada” Chill and Lose touch if you want at our 6 bedroom, 5 bathroom luxury private home. Relax on the expansive decks of this British colonial style luxury home situated with 75 feet of beautiful white sand private beachfront overlooking the Caribbean Sea with the best views of Hol Chan Marine National Sanctuary and Shark Ray Alley on the island. 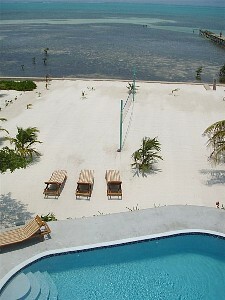 From the roof deck you have a spectacular view of Caye Caulker and the Mayan Ruin of Marco Gonzalas about a mile south of the villa. 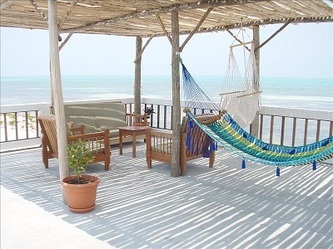 We have a shady Palapa on 1/2 of the roof for those who like it in the shade. On the other 1/2 of the roof is a Brand NEW Owners Penthouse Suite finished with the most luxurious finches available. 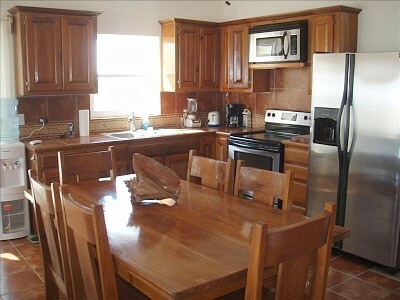 This fantastic villa is close enough to town to easily enjoy all of the restaurants and activities offered in San Pedro, but far enough away from the noise to relax and enjoy the pure tranquility of the ocean. Located 3 1/2 miles south of town, our home is nestled among private homes in a quiet, exclusive area. The roof deck provides the perfect place to watch the sunrise over the Caribbean, or unwind after a hard day of play and watch the amazing sunsets over the unobstructed views of the lagoon. Pull up a deck chair and watch the osprey that nest in the tree behind the house. 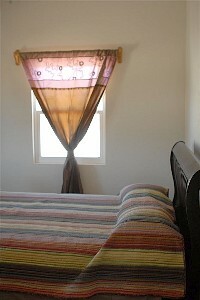 We provide only the best linens and towels for our guests. The Entire Villa Suites one and two and owners penthouse can be combined by a locking interior stairway/ exterior stairway for the penthouse. 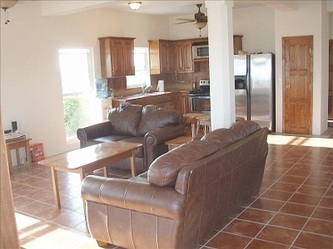 The house rented together can sleep up to 18 with 6 bedrooms, 5 baths, 3 kitchens and three living areas. We have a 1-1/2' thick solid hand made mahogany dining table on the 2nd floor 3 bdrm Suite to accommodate your dinner parties. We welcome families, couples, singles, children of all ages and of course wedding parties. Suite 1 st floor The first floor is a 2-bedroom air conditioned 2-bath suite with a gourmet kitchen, and large living area that opens to a private, expansive, covered veranda with picturesque views of the ocean. 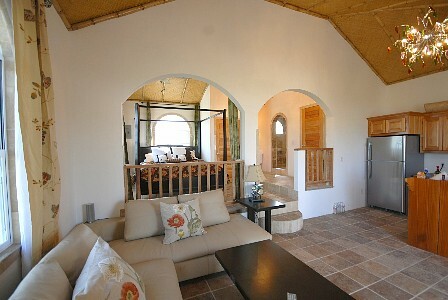 The Master Suite’s double french doors also open to the private deck with stunning ocean views. 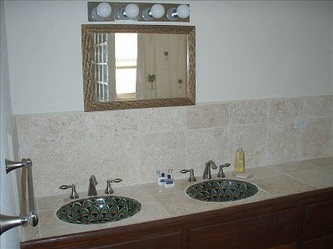 The Master Suite has a large bath with custom tile and custom Mexican hand painted double sinks, a large shower, king pineapple bed and a walk in closet. Bedroom 2 has a custom crafted queen panel bed and a walk- in closet with Ocean and lagoon/sunset views. 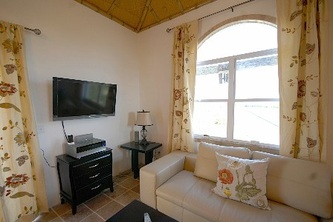 An additional 2 guests can sleep in the living area on the new pull out sofa. This suite can sleep up to 6. Owners Penthouse Ultra luxury King Bed Suite with an extra large tile shower, separate Toilet and Dressing areas. Granite Counters in the Bathroom and Kitchen with gourmet gas stove in the kitchen. Living area with high end furnishings. 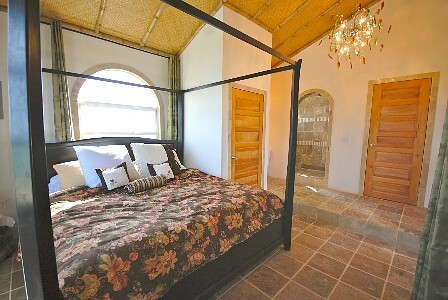 Bamboo and thatch ceiling finish make this the most romantic room on the island. 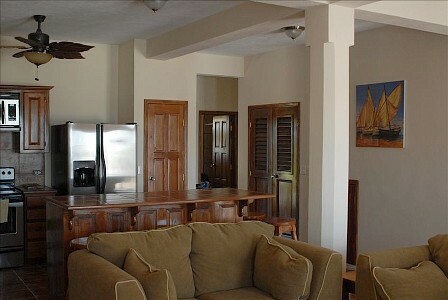 Suite 2nd Floor The second floor is a 3-bedroom, air conditioned, 2-bath suite with a gourmet kitchen, and large living area that opens to a private, expansive partially covered veranda. The living room has picturesque views of the ocean. 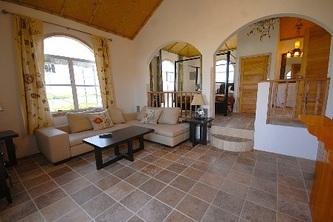 The Master Suite’s double french doors also open to the private deck with stunning ocean views. 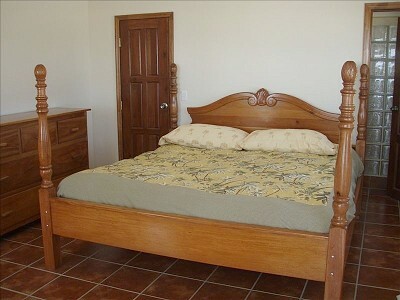 The 2nd floor Master suite has a hand crafted four post pineapple poster king bed. The Master Suite has a large bath with custom tile and custom Mexican hand painted double sinks, a large shower, and a walk-in closet. 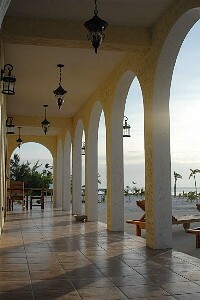 Bedroom 2 has a queen bed and a walk-in closet and Ocean front and lagoon/sunset views. Bedroom 3 has double mattress on bottom twin mattress top bunk bed, and a single bed opposite the bunk, a pantry closet and can sleep up to 4 with lagoon/sunset views. 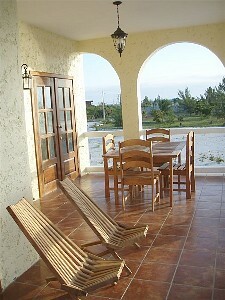 Open the doors and windows and sleep to the gentle ocean breeze, or if it’s too hot, turn on the air conditioning. An additional 2 guests can sleep in the living area.